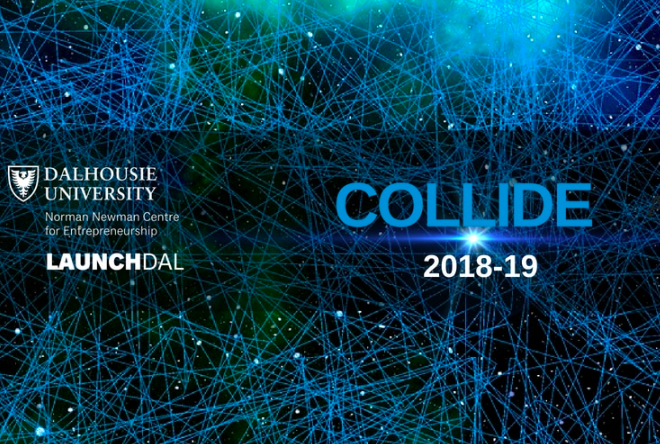 Neuro Amel Technology and iLokol were both declared winners at the Collide 2018 Pitch Showcase, hosted by LaunchDal on Thursday night. Dalhousie University’s entrepreneurship hub hosted a pitching competition for its latest cohort at the Killam Library, with a total of $6,000 in prizes to be handed out -- $3,000 for the winner, $2,000 for the runner-up and $1,000 for third place. However, the panel of judges decided that iLokol and Neuro Amel tied for the first prize and awarded $2,500 to both of them. ILokol – which won equity funding of $25,000 from the Volta Cohort earlier this month – is developing a multi-language platform that helps international students and newcomers find the right places to shop, dine and play. Users can check for nearby businesses, find products or services and place orders from their mobile devices. The company so far has more than 90 clients and more than 100 daily transactions. Neuro Amel is making an automated sleeve that monitors individuals’ limbs after they have experienced a stroke, and sends data on the recovery to health professionals through the cloud. CEO Hayam Mahmoud-Ahmed said it’s like getting clinical data without the patient leaving home. The team went through the LaunchDal accelerator last summer. The $1,000 runner-up prize went to Smart Engineering, which is creating a software package that helps engineers achieve a safer and more optimized design in a short time span. The team has lined up pilot projects with three engineering groups. Kavi Systems is developing technologies to de-risk oil and gas drilling activities with the power of knowledge automation and artificial intelligence. Blue to Built is championing excellence in construction documentation by partnering with industry affiliates that provide the written rules of built environment. Podcast Atlantic is both a directory for Atlantic Canadian podcasts as well as a podcast production company. Through story-telling, Podcast Atlantic aims to help send our region’s stories to the world. Light Me Local is a locally based online platform for freelancers in the creative industry. It supports local communities by providing an online space for local talents to showcase their work for local customers. Atlantic Soleil is Atlantic Canada's first tan through swimsuit company tentatively launching May 2019. It plans to produce swimsuits made of microsolv fabric, which allows for a more gradual unnoticeable tan line. Feed Me is a meal service for students and anyone looking to access locally sourced produce prepared by professional chefs at an affordable price. TeamUp provides an online platform connecting fitness trainers, gyms and team sports with individuals seeking a tailored fitness regime.